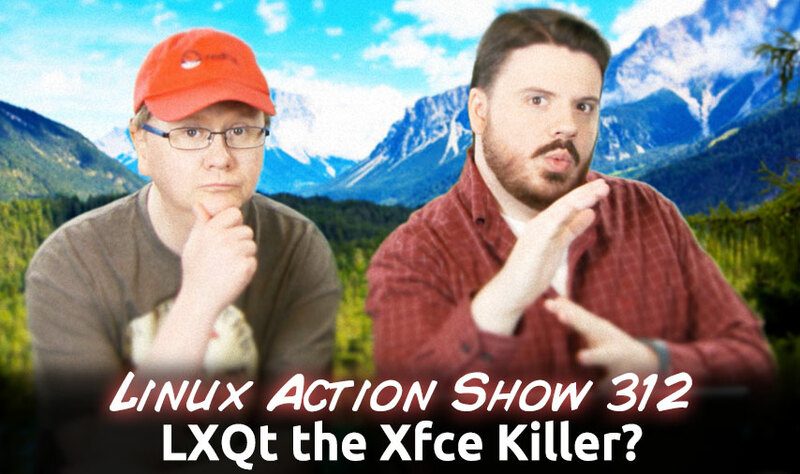 The first big release of LXQt is out, and we give it our first look. Where does this minimal desktop fit? And is it taking a direct shot at XFCE’s crown? Plus the community demonstrates their passion to Unreal, FireFox OS news AND do YOU trust Btrfs? Stefan Wrote in: LXQt, the next Generation??? easily swap out components of the desktop for third party apps. PCManFM-Qt, can run on Wayland if QtWayland is available. Test environment is the latest Debian stable installed in VirtualBox with 512 MB of RAM and 1 CPU core assigned. After cold boot, the memory usage is as follows. “The KDE Project has, in their efforts in building the modular KDE Frameworks, opened new doors for Qt developers working with desktop libraries. KF5 libraries may soon power some LXQt components! Atom is an open source \”hackable text editor for the 21st Century\” developed by GitHub, which is currently in beta. KaOS is a build from scratch distribution, every package in every repository is build by and for KaOS. By July 2013 the initial goal of about 1500 packages was reached. It also goes to show how they also believe in Linux to release their engine and new flagship game on Linux. They want to involve the community in it as much as possible and see what people want from it. They have asked you to go to their forum and let rip on what you want. Speaking on cost they said it themselves that it will be free. It\’s not \”free 2 play\”, it\’s just 100% free (and no I don\’t mean open-source). That\’s absolutely crazy to have a game as high calibre as Unreal Tournament being free. They mentioned they will start with Deathmatch and that the game has only started today, so it\’s a long way off. From the very first line of code, the very first art created and design decision made, development will happen in the open, as a collaboration between Epic, UT fans and UE4 developers. We\’ll be using forums for discussion, and Twitch streams for regular updates. The Wayland change for Fedora 21 is about better supporting GNOME Wayland sessions. Fedora 20 already brought experimental GNOME Shell Wayland support while Fedora 21 is building upon more polished support thanks to upstream improvements landing with GNOME 3.14 due out in September. It\’s not for sure yet that a Wayland-based environment would replace the X.Org Server by default for Fedora 21, but at least the support will be in good standing. In time for Fedora 21 will also be X.Org Server 1.16 which integrates basic XWayland support for running X11 applications atop Wayland without requiring separate X.Org patches. MS Office Coming to Linux? Should You Upgrade to Ubuntu 14.04?